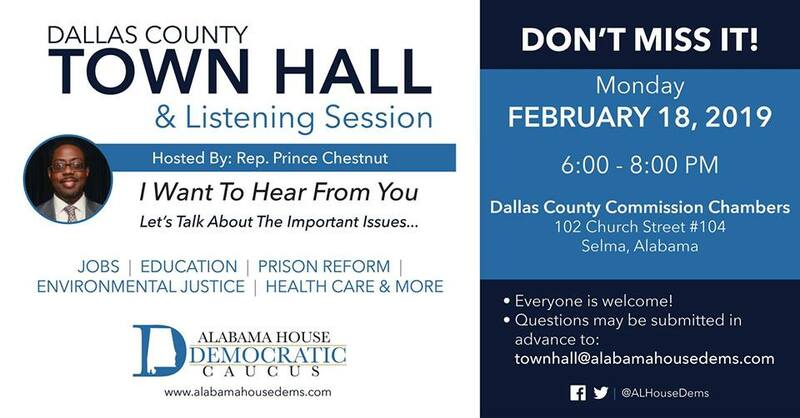 This month Alabama Democrats want to hear from you. 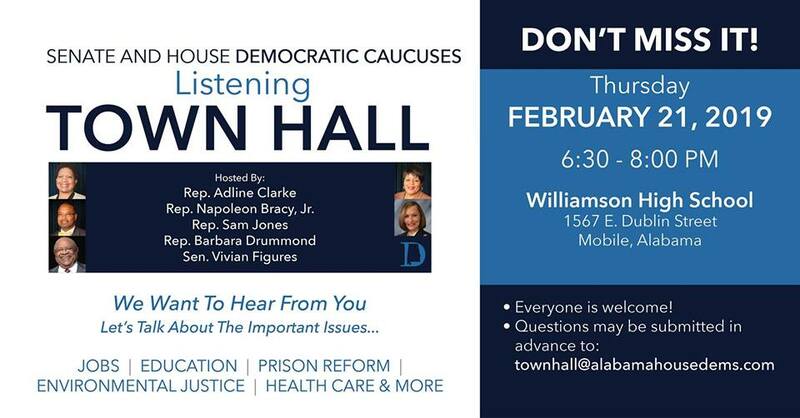 The Alabama House Democratic Caucus will be hosting 5 Town Hall events across the state in preparation for the upcoming Alabama Legislative Session. 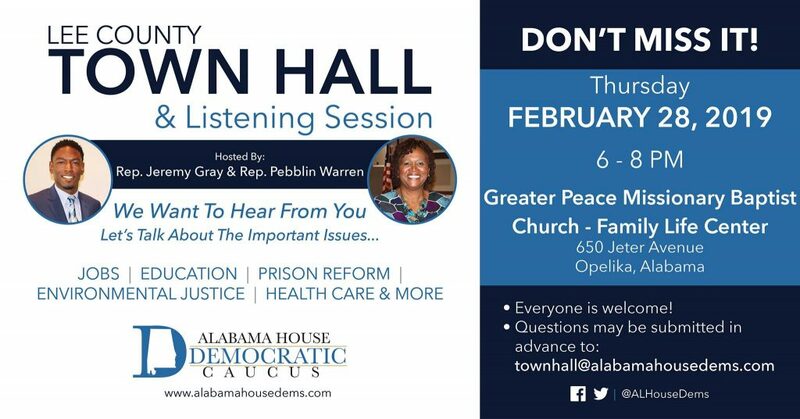 The events are as follows.